What Does The Best Bond Cleaning In Bulimba Cover? Finding and selecting reliable house cleaning in Bulimba is not easy. The most common questions we get asked by people like yourself have been collated below to assist you in making a smart decision. 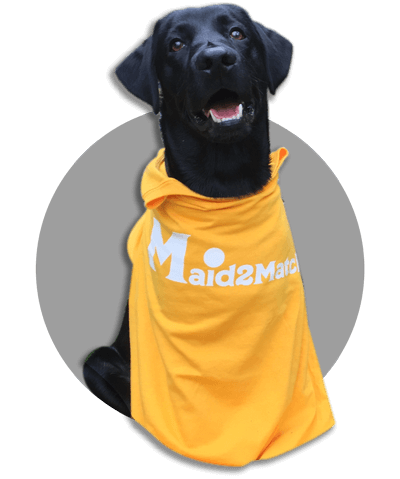 WHY ARE MAID2MATCH BULIMBA’S BEST AT VACATE CLEANING? The truth is great bond cleaners possess a different skill set than regular house cleaners and therefore requires specific experience, dedication, and a first-class cleaning checklist. At Maid2Match, we personally vet all our cleaners, after having them complete a three-part application form. We provide extensive support and have crafted the most effective bond cleaning checklist you’ll find. Contact Maid2Match today for your rental cleaning Brisbane. Located in Queensland, Bulimba is one of Brisbane’s suburbs, with the Brisbane CBD 4 kilometres to its south-west. Set on Brisbane River’s southern shore, this suburb has a wonderful landscape and has seen a steady increase in population in its latest years. Once the home of the Yuggara Aborigines, Bulimba is a Yugarapul name which means “Home of the magpie-lark”. And if you’re a nature lover, you can go for a hike in Bulimba’s Memorial Park to look for one. Amongst its many attractions, the Bulimba Memorial Park is one of its more famous heritage listings. All the trees here were planted in the memory of the soldiers who died during World War I, however since that time some of the trees have been cut down. While the indigenous people lived here for 20,000 years, the 19th century Europeans made it their home and started the first farms. But Bulimba has seen other momentous first, like the first bicycle, built here by Reginald Blunt. Bulimba House, also known as Toogoolawah, is heritage-listed as well and you can admire its wonderful Andrew Petrie architecture. Along with it, the Bulimba ferry wharf, and the St John the Baptist Anglican Church are other significant landmarks featured on the Queensland Heritage Register.